Abaco Health — Canadian Health Food Store – Online Vitamin Store Canada. Abaco Health is the finest of Canadian health food stores, providing the best selection of natural health products and vitamin supplements. We started in 2005 as a natural health food store in Kelowna, BC, and became an online vitamin store in 2007. We consistently offer the lowest prices found in any of the Canadian supplement stores. Our goal is to support 95% Canadian suppliers, offer mainly Canadian supplements, and to be the best online vitamin store in Canada. If you find a lower sale price in one of the other Canadian supplement stores, please let us know so we can price match! Abaco Health Online Vitamin Store offers vitamins, natural health supplements, weight loss, cleansing, organic herbs and spices, beauty and skin care products, pain relief supplements, books, candles, cell phone chips, jewelry, or many other products usually found in Canadian health food stores. If you have any questions, please call our online vitamin store in Canada 1-877-861-3090 (toll-free for Canada & USA callers). Our experienced and knowledgeable team are here to help you find you the right products. We have three Registered Holistic Nutritionists on-hand to help you with any questions. Relieves pain & inflammation and clears arterial plaque. 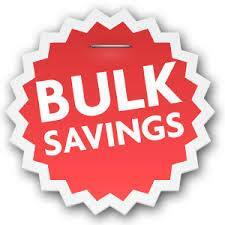 Bulk discounts are now available on some of our products! A recent study says vitamin D significantly reduces your risk of developing breast cancer.